Shingle roofing is the most popular roofing system chosen by homeowners mainly because it is economical and versatile, works well on steep-sloped structures, is sunlight and weather resistant, requires little-to-no maintenance and is the most affordable roofing option. Asphalt shingles come in all kinds of colors and profiles. They are easy to cut, fasten, and fit, as well as being compatible with many different kinds of flashing and edging products. 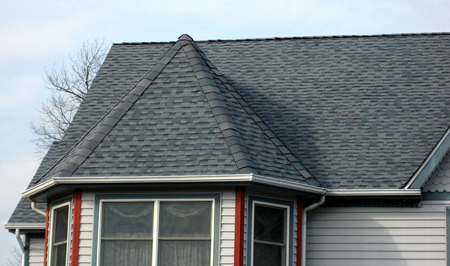 This makes shingle roofing installation relatively easy, which keeps the cost down. Furthermore, asphalt shingles don't require specialized accessories for roof edges, wall terminations, and chimney or vent flashings. LGC Roofing has been installing & repairing roof shingles for over 25 years. Our attention to detail, quality products and quality craftsmanship is what sets us apart from our competition. LGC Roofing installs GAF shingle products! Request a shingle roofing installation or repair estimate for your home in just 20 seconds. Request a Shingle Roofing Estimate in Just 20 Seconds!